Explore Worldwide is offering $100pp off 100 once-in-a-lifetime holidays. Choose from extraordinary experiences around the world and save when booked before 4 February 2019. Search for tigers in India’s Ranthambore National Park, walk the spectacular Walk of the Gods on the Amalfi Coast or discover a darker world in the Exclusion Zone at Chernobyl. This trip combines the cultural highlights of India’s Golden Triangle from chaotic and colourful Delhi, to the Taj Mahal and the ‘Pink City’ of Jaipur, with a visit to Ranthambore National Park to search for Bengal tigers. The park, once part of the magnificent jungles of Central India, is also home to sloth bears, langurs, striped hyenas, marsh crocodiles and Ganga turtles. The 9-day trip was $1,440pp now $1,340pp and the price includes 8-nights’ accommodation, most meals and an Explore leader. Animal safaris, tractor tours, nature trails, cookery lessons and the chance to explore ancient temples on mountain bikes are all part of this adventure in Sri Lanka. End the trip with a few fun-filled days a traditional Dhoni boat, swimming and snorkelling in the crystal clear waters of the Indian Ocean. The 15-day trip was $4,180 now $4,080 per adult and $3,310 now $3,210 per child. The price includes 12-nights’ accommodation, most meals and an Explore leader. Spend two days accompanied by an expert guide inside the Exclusion Zone that was created after the 1986 explosion. Inside the zone explore the ghost town of Pripyat, the Red Forest, Chernobyl Docks and the shell around Reactor Number 4. There is also the opportunity to meet a self-settler – one of the few people who chose to return to their home after the accident and has been living within the outer Exclusion Zone ever since. Also included is a guided walking tour of Kiev, a metro trip to Arsenalna (the deepest station in the world) before exploring Lavra Historical and Cultural Reserve to visit the incredible ‘Monastery of Caves’, which was founded in AD 1051. The 5-day trip was $1,310pp now $1,210pp and the price includes 4-nights’ accommodation, some meals and an Explore leader. 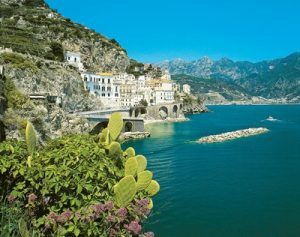 This relaxed walking holiday explores the spectacular Amalfi Coast and the picturesque towns of Amalfi and Positano as well as the island of Capri but the highlight is the ‘Walk of the Gods’ trail – one of the world’s greatest coastal walks. The trail passes under huge limestone cliffs and above pretty stone farmhouses until it reaches the attractive village of Nocelle. The path then descends down an ancient stairway and carries into Positano, a town frequented by Hollywood stars. Stay in a family-run Agriturismo overlooking the Mediterranean and enjoy home-produced organic food and wine and visit the ruins of Pompeii, climb Mt Vesuvius and explore Ravello. Graded easy to moderate. The 8-day trip was $1,870pp, now $1,770pp and includes transport, accommodation, most meals and an Explore leader. Journey through Costa Rica, one of the most biologically diverse countries in the world and explore the lush rainforests and rich wildlife of Monteverde and Manuel Antonio. Cruise around the thriving waterways of Tortuguero and spot colourful toucans, hummingbirds, kingfishers as well as the famous quetzal from the walkways at the Monteverde Cloudforest Reserve. The 15-day trip was $3520pp, now $3420pp and includes 14-nights’ accommodation, some meals and an Explore leader.